In 1992, Representatives of the main offices of national and international lawyers, met in order to discuss the creation of an academic institution, intended solely to legal education of the highest level.. It was necessary that in Spain appeared a teaching center that besides forming college students were able to incorporate sufficient guarantees and automatically to the best firms. It was a need and requirement required by the law firms themselves. 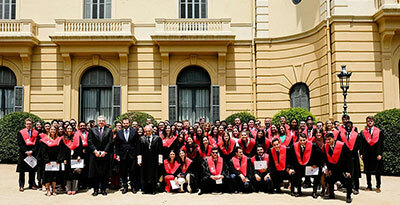 ISDE is a legal training center attached to the Complutense University of Madrid. Today there are more than 200 firms in more than 50 countries which have joined the project. 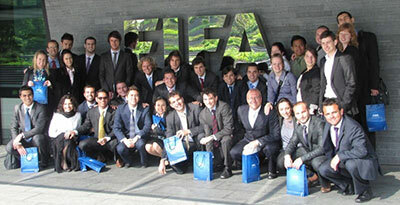 The Master in International Sports Law is considered the reference in terms of excellence in the sector. Full-time Master, combines classroom training with on-site closure sessions in Cambridge and Switzerland, in addition to completing mandatory international internships. This program will allow you to acquire an eminently practical training to practice as a lawyer in international law. After a first theoretical phase, you will be able to apply your knowledge in international law firms and firms. You will learn to detect legally sensitive facts and to reason before the questions raised by the client. It is the undisputed leading program in the main specialized rankings of our country. The Master of Access to the Law guarantees quality training to pass the state examination of access to the legal profession and to practice the profession with all the guarantees. 100% of our students passed the entrance exam in its latest edition, after doing internships in the best national and international firms.